Outreach, one of the fundamental hallmarks of counseling center work, has been evolving. Over the last several years, there has been even greater emphasis on outreach, education and prevention efforts due to national events as well as the changing nature of college student cohorts. However, there has been a gap in counseling center outreach—an organized event in which outreach professionals from across the United States could gather, network and learn from one another. The idea to have a conference dedicated to counseling center outreach professionals was sparked in February of 2007 during the Big 10 Counseling Center Conference at Northwestern University. Drs. Todd Sevig and Christine Asidao were on the Evanston campus thinking about the needs of this profession and the seeds were sown for creating a conference that would bring together counseling center professionals passionate about, and dedicated to, outreach. So, in the fall of 2007, Dr. Christine Asidao, in her role as Assistant Director of Outreach & Education, led the University of Michigan Counseling & Psychological Services Outreach Committee to plan the 1st National Outreach Conference for Counseling Centers, titled, “Reaching in to Reach Out: The New Face of Outreach in the 21st Century.” From May 22-24, 2008, almost 100 counseling center representatives from over 20 states met at the Michigan League to focus on one of the fundamental hallmarks of counseling center work—outreach. This conference brought together professionals from across the country passionate about outreach and was so successful that the University of Michigan was asked to host the 2nd conference. In addition, an energetic group of conference attendees also wanted to know about “next steps” for the profession of outreach and discussion ensued about forming a national association for counseling center outreach. Formal organizations for counseling center directors, training directors and clinical directors were firmly in place, but no such organization existed for outreach. 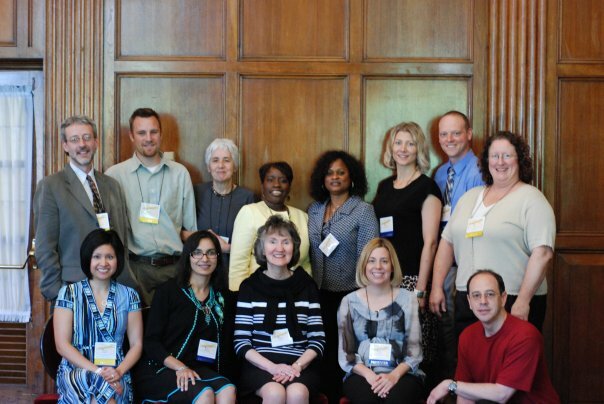 On June 5, 2009, in the Hussey Room of the Michigan League at the University of Michigan, Dr. Christine Asidao formally announced the establishment of an Association of College Counseling Center Outreach to all conference attendees and encouraged everyone to share the news with their colleagues and administrators. In addition, Dr. Kathie Staley from the University of Iowa and Dr. Tom Golightly from Brigham Young University announced that they would host the 3rd and 4th National Outreach Conference for Counseling Centers, respectively. On June 10, 2009 a survey hosted by Survey Monkey was sent out to both 2008 and 2009 conference participants and the outreach list serve. This 5-item survey was intended to help build the foundation for the organization. The AUCCCO continues to grow and establish its identity. During 2010-2011, an AUCCCO Mission Statement was formalized, a Treasurer was named, a tax payer identification number was secured and currently, two working committees focused on research and the web are meeting. We look forward to continued growth in the years ahead. You can help us grow by formally joining the AUCCCO through membership!